BOOKING available from early April until end of June and from early September until end of October. 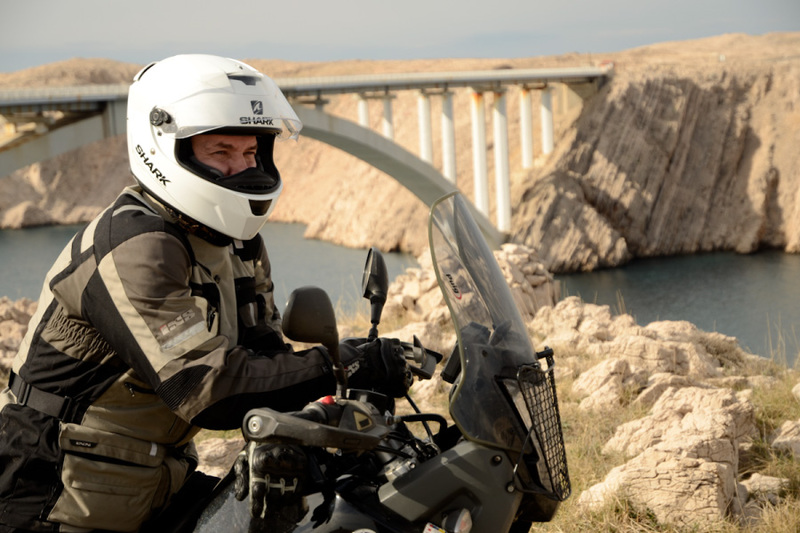 Due to a lot of warm sunny days in Croatia, motorcycle adventures guiding is available for almost all season as a CUSTOM ADVENTURE. 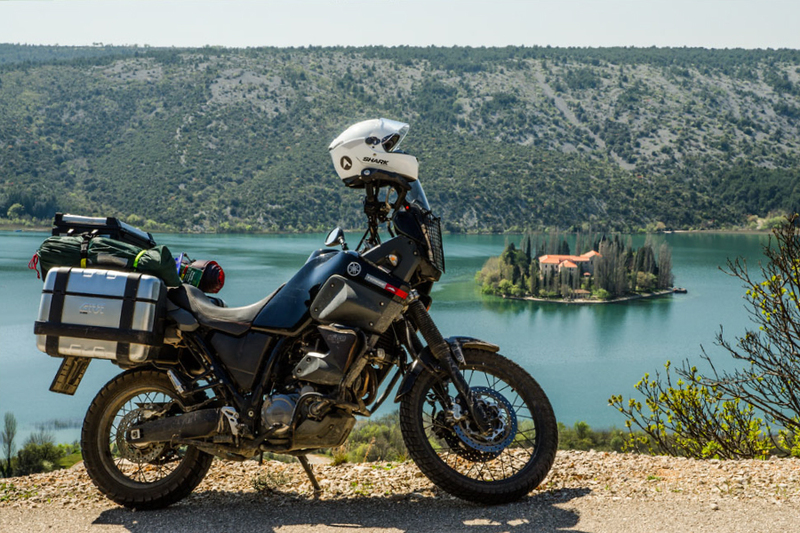 We begin our Balkan moto adventure tour by heading north from the Adriatic coast, into the heart of Dalmatian back country. Once well developed, this area now attracts extreme sports addicts and adventurers who seek their dose of adrenaline in its wild waters and high mountains. As we drive on the scenic, and often winding roads over mountain passes, following the flows of the three largest Dalmatian rivers, Zrmanja, Krka and Cetina, you will be amazed by wonderful works of art created by stone and water over millions of years. We will be able to take in the beauty around us as we will, most probably, be the only ones on the road. The last leg of our first day's journey will take us into Herzegovina. We will make our way up into the mountains, next to a beautiful lake where we will spend the first night at 1200 m above sea level. The length of our first day’s route is 360 km of which about 5% are spent on gravel roads and around 30% on narrow, winding tarmac roads with potentially poor asphalt quality. Bosnia and Herzegovina is a mountainous country, with impressive mountain peaks, picturesque hills, never-ending forests, green pastures and crystal clear rivers. Frequently, during our “pit-stops” we will drink water directly from these beautiful rivers. 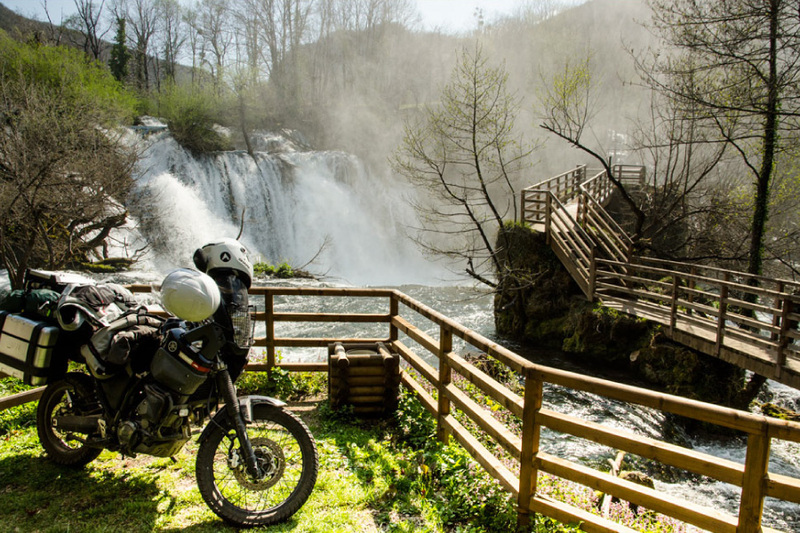 Our moto adventure will take us along unpaved roads, over mountain passes, past wild waterfalls, stunning lakes and through peaceful valleys. As we make our way through the Livno valley we will pass some eerie yet picturesque old graveyards. Next we will head down a scenic road to our next destination, Martin Brod - the most beautiful village in Bosnia and Herzegovina, situated on a river island and surrounded by the most breathtaking waterfalls one can imagine. 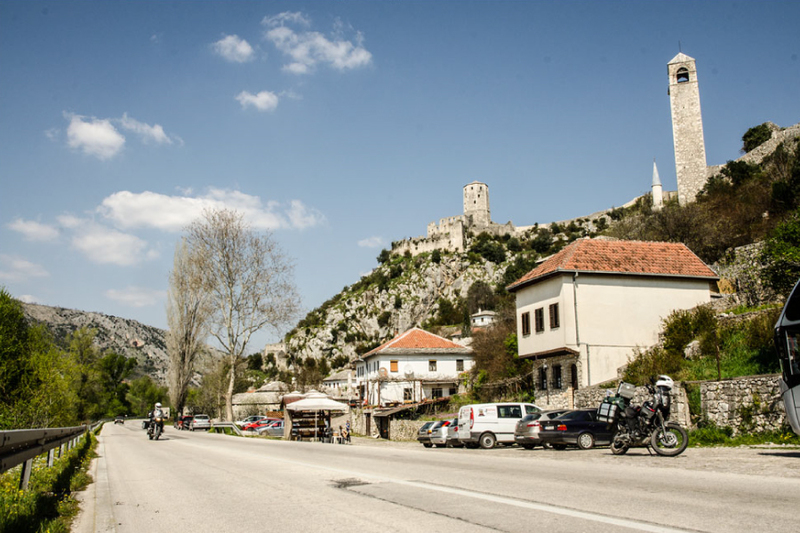 This day’s moto adventure ends in Bihać, situated on the river Una, and what a grand finale it will be! You will have the opportunity to taste the best "Ćevapčići u somunu" in the universe – traditional Balkan food at its best. After a hard day on the road, you deserve it! The length of this day’s route is 310km, of which 10% are gravel roads and 20% are very winding tarmac roads. 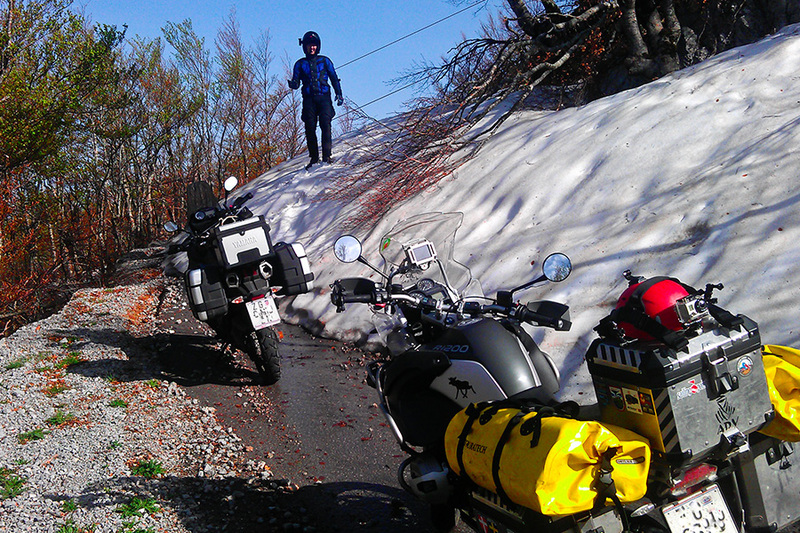 On the third day of our moto adventure journey, we will cross the border once again and return to Croatia. We will stop at the Plitvice Lakes for a couple of hours to go on a breathtaking sightseeing tour of the lakes and spectacular waterfalls.. The Plitvice lakes rank among the top 10 national parks in the world! After Plitvice we head towards the sea, but before reaching it, we must cross the Velebit mountain. Velebit is the most beautiful mountain in Croatia and the views towards the Adriatic sea and islands on one side and Lika and the Croatian mainland on the other side are simply breathtaking. When we are high up enough, we will stop just at the right spot and take out our maps to see where we have been in the past couple of days and to bid farewell to the continent. Our next goal is the “Magistrala”, one of the most scenic coastal roads of Europe. Imagine this if you can; to your left the crystal clear Adriatic sea and to your right, watching your every move, the impressive Velebit mountain. We will then take the ferry to the Island of Pag and cruise down the surreal ''moon road'' and head back to Zadar. This is where the journey ends but we will say farewell in style as we enjoy a mouth-watering Dalmatian meal accompanied by some excellent local wine. This will be the perfect opportunity to reflect on our trip, have a look at some photos and who knows, maybe plan our next adventure. What is included in this adventure?